Twin-box decks, have been recently introduced in long-span bridges because this type of slotted cross-section provides flutter critical wind speeds higher than mono-box streamlined decks for flexible structures. The two parallel girders are linked together by means of transverse beams with a central gap between them. Experimental and CFD studies have shown that the length of this central gap plays a key role in the aerodynamic and aeroelastic responses of the deck. 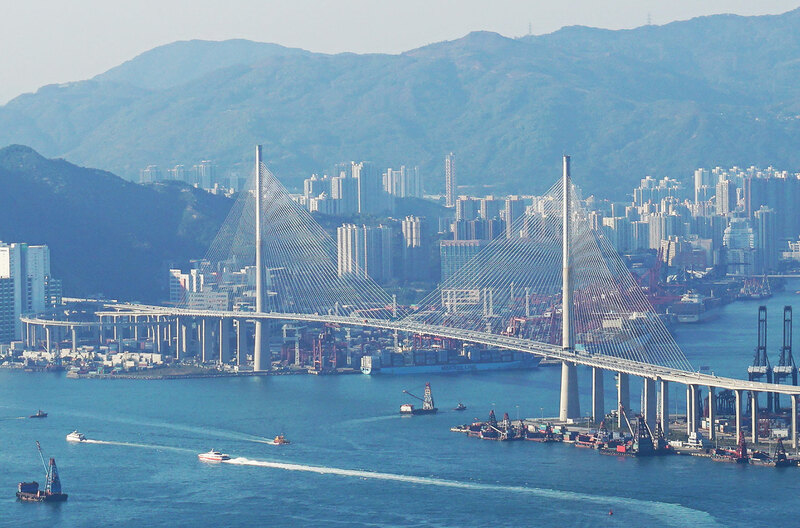 In this work, the geometry of the Stonecutters Bridge in Hong Kong (China) has been chosen as application case to conduct a series of parametric studies based on CFD simulations and wind tunnel tests. Numerical simulations have helped to understand the fundamental aerodynamic behaviour as a function of the gap distance. Wind tunnel tests have highlighted the impact that the gap distance causes on the aerodynamic damping. The search for more efficient and reliable designs involves considering shape variations in the deck cross-section, which is one of the key features in long-span bridge design. This affects the deck aerodynamics and its mechanical properties, and consequently impacts the aeroelastic response of the bridge. A numerical approach pursuing to optimize a long-span bridge needs to explore changes in the deck shape, including structural and aeroelastic responses as design constraints. Therefore, the flutter response of the bridge must be obtained numerically for every candidate proposed by the optimization algorithm. In this seminar, a novel approach to conduct the optimization of deck shape and cables size of a long-span cable-stayed bridge considering simultaneously aeroelastic and structural constraints is introduced. The design variables are the cross-section area and prestressing force of each stay, the deck plates thickness and the width and depth of a streamlined box deck. The aeroelastic constraint is evaluated based on a fully numerical procedure. Félix Nieto is Associate Professor in the School of Civil Engineering at the University of La Coruña in Spain, where he has been a faculty member since 2002. He teaches courses in Structural Analysis, Fluid Mechanics and Bridges at Bachelor and Master levels. 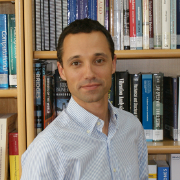 His research interests are related with the applications of optimal design techniques in long-span bridges and CFD-based simulations of aerodynamic and aeroelastic phenomena of interest in bridge engineering. He is member of the Spanish section of the IAWE and he is member of ASCE.